It was a dark and stormy Halloween night…actually, it was. October in Sweden is really dark, and it wasn’t nighttime per se, but rather 3 pm which is quite night-like in terms of daylight. The kids and I were at the dentist’s office for my daughter’s wellness check-up. She opened her mouth wide, and we discovered she had one cavity. Given that it was Halloween and the kids were about to eat more candy than usual, we had a brief discussion about sweets and tooth brushing while on our way to the car. I don’t know where this thought came from—my kids usually throw bizarre questions and ideas at me—but this one started a conversation between us. “I don’t know. Maybe something happens every hour on Halloween. When the clock strikes one, mummies come undone…” I said in a spooky voice. “That’s the idea, isn’t it?” I laughed. I’ve lost so many good ideas by thinking that I’d remember them later only to have no recollection of what we talked about. “Goblins need to pee!” he chimed in, giggling maniacally. And so it went, on and on until we had a few rhymes. The kids buckled in, and it was after 10 minutes of frantic scribbling in my notebook later that I remembered they were back there. The backseat was getting complainy. It was at least five more minutes before I started the car and drove home. Also, seven and eleven were tricky. I left those rhymes as blank spaces and vowed to revisit them later. Being the obsessed-with-a-new-idea type person, I had to validate my idea and see if it was any good. I created some Instagrammable images with clip art, added the text, and published them on my account. It was Halloween evening…I didn’t have much time left in the day to be timely. The hearts and comments started to pour in. The initial reader feedback was good enough for me to take it to the next level. I shared the images in a children’s book writer’s Facebook group and asked for more feedback—this time from my peers. It was vital for me to test the quality of the story before moving to the illustration phase. Illustrations can hide a bad story well—they are really good at that. I wanted my contribution—the nucleus, the purpose of the story—to be solid before hiring an illustrator. I hired an editor who told me that my meter was a mess. What meter did I even want anyway? My story was a jumbled mix of iambic trimeter, tetrameter, and pentameter. Did I want anapestic? I had no idea what Tamara was talking about, and, feeling like a newbie to the core, I set off to Google and YouTube different types of meter. After a lot of thinking and reflection, I settled on iambic trimeter. That had the best rhythm and was the simplest for the age range. Also, most of my verses were already in iambic trimeter, so I wanted to keep it easy. My next two books can expand in length and complexity, but the beauty of this story was its simplicity. Iambic trimeter felt right. Now, to make it more than just a cute story. What I’ve learned while marketing my nonfiction books, is that it’s best to think through every angle before finalizing anything. 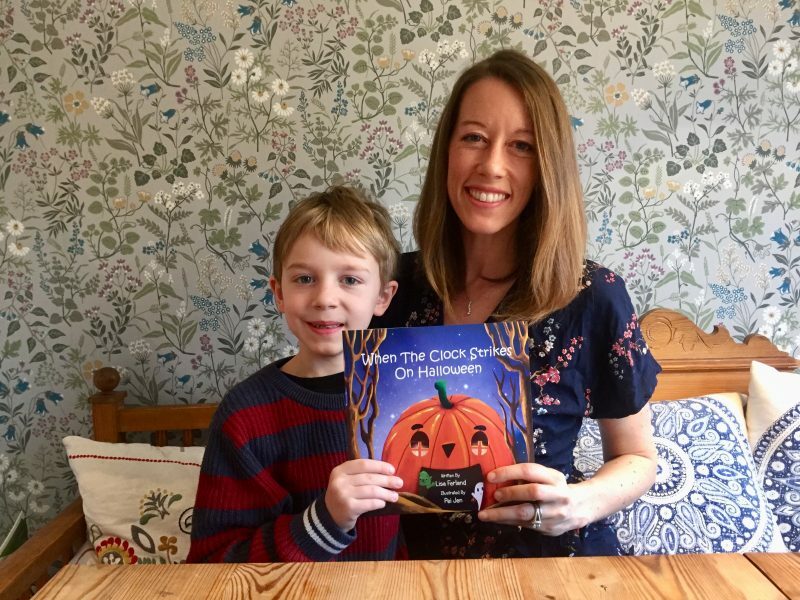 My books dealt with time, my son was struggling with understanding the concept of time in first grade, and it was a perfect fit. My friend, Megan actually suggested adding a large clock face to every page. Perfect! The book would have a large clock on one side of the page opposite cute illustrations. 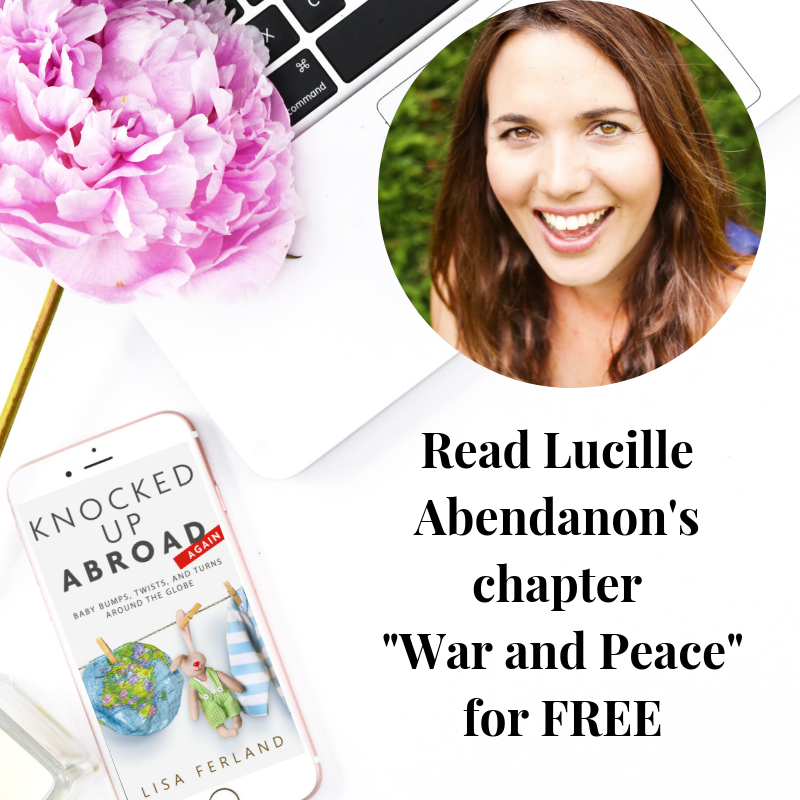 The story could hold water on its own, but now I had a teachable aspect of the book. 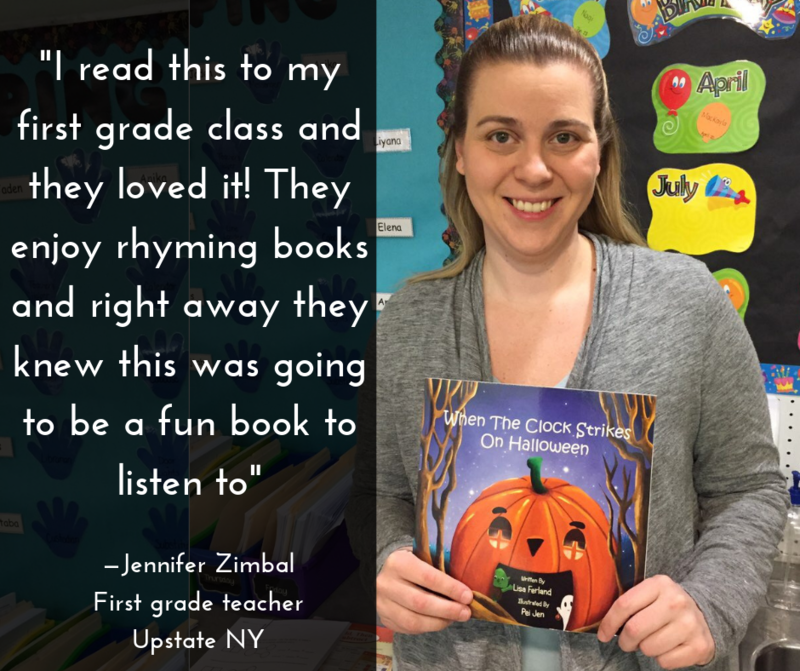 Parents and teachers would appreciate it for more than just a cute story—kids would learn something new while reading it. “Am I crazy? 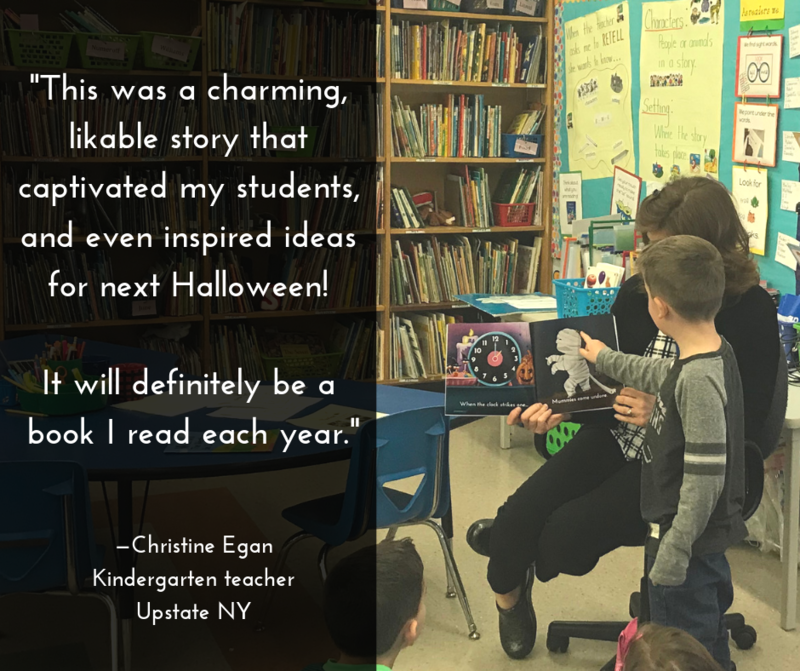 Does this work?” I sent an advanced copy of my book to a few teachers. “I can’t wait to buy this book to help me with my teaching!” said one ESL teacher. 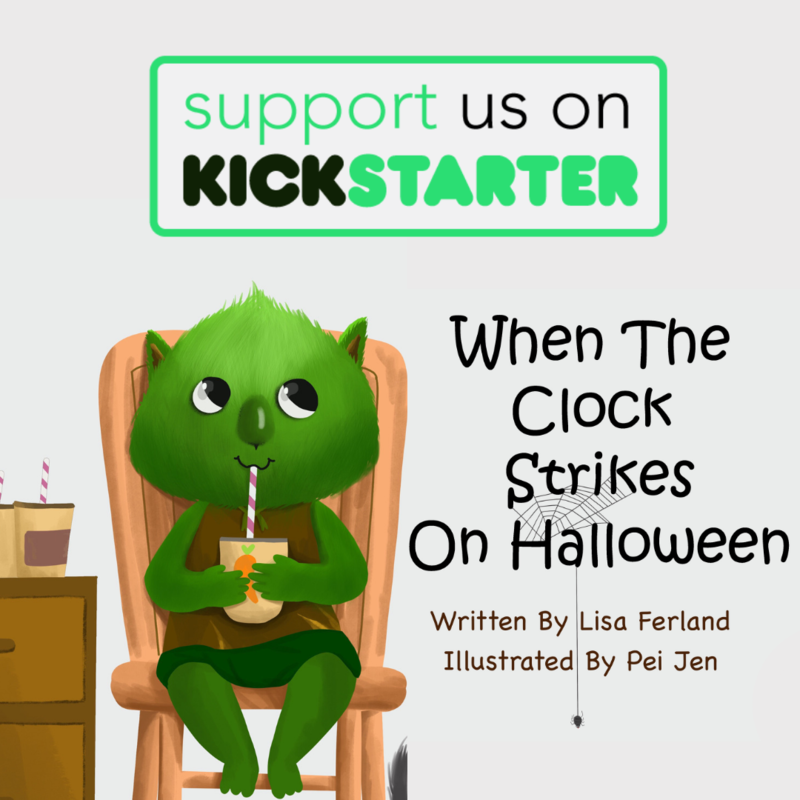 For a limited time only, you can get When the Clock Strikes on Halloween bundled with the eBook, Halloween activity workbook, and video reading on Kickstarter. These extras are only part of the pre-order campaign, so go grab your copy today to get the best deal! Hop on your broomstick before this witch flies away to work on other projects.